Delphinium ‘Del’ Bloom loves her grandparents’ flower shop. It’s always peaceful and calm; the opposite of her cluttered home, where her three sisters – Rose, Aster and Poppy – constantly cause drama. But then Gran and Gramps move away and leave the shop in the care of Del’s scatterbrained parents! And when their first order comes in, it’s a big wedding order. The bride wants everything – especially the flowers – to be absolutely PERFECT. Worse, the meanest girl in Del’s class happens to be a junior bridesmaid! Can Del use her inner flower power to create the ideal arrangement? 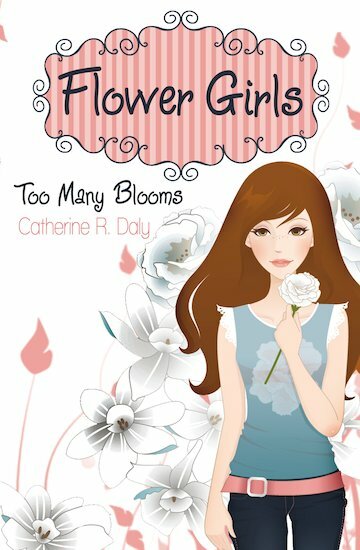 First in a gorgeous new series all about family, friendship and flowers!